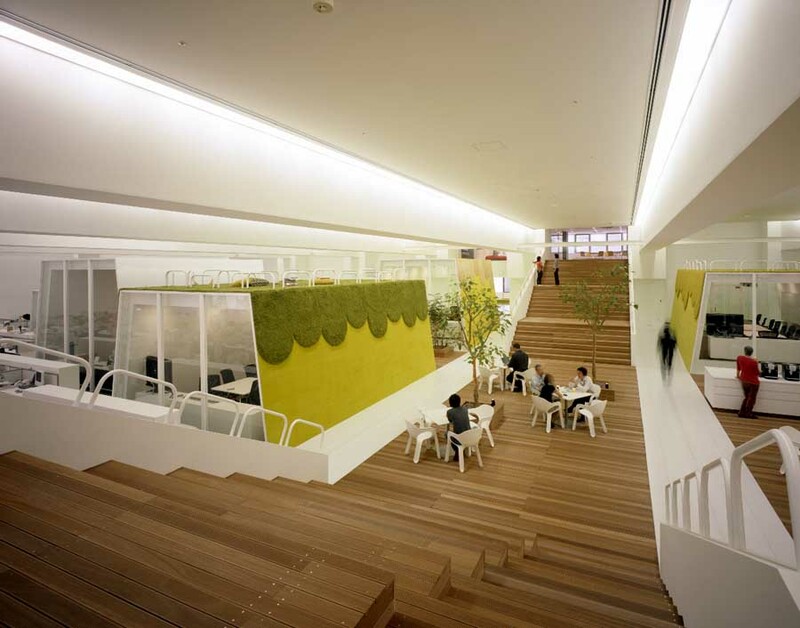 This plan began in a heavily populated residential area in Tokyo. In the surrounding area stands a swatch of mid and high rise buildings, meaning there is not much light left over for the low-risers. The plan started out as a house design for a couple in their 40s and their child, but this concept changed greatly as a result of the March 11 earthquake. The new requests began with making the construction sturdier, taking measures against the low-lying location, and creating the facilities necessary in a disaster, among others. While planning first began 4 years ago, the great earthquake of March 11th led to a large shift in our concept. After recreating the concept from scratch with the property owner, we spent a large proportion of time sharing ideas on lifestyle and what a home really means. We gave ourselves the grand goal of not simply creating a home, but a base for life, a shelter, a playground, a hobby space, garden, in other words, a place that encompasses all of lifes pleasures and necessities. 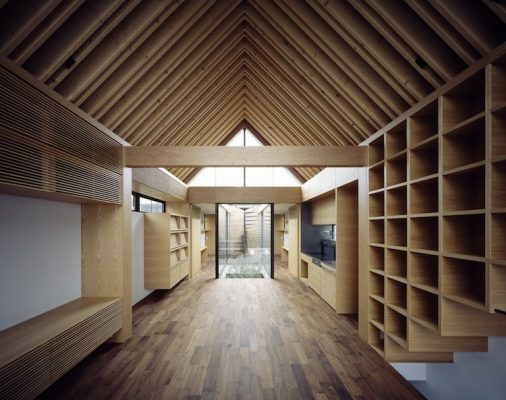 Protecting the family against disaster by turning floors 1 and 2 into office space or space for rent to tenants, this residence revisions the Japanese lifestyle as well by eliminating time spent traveling to and from work, increasing time spent with family. While Soho-like residences have now finally started to become more common in the metropolitan area, we feel that low lying residential areas, and areas that experiencing torrential downpours, need to, at the very least, be constructed with raised 1st floors. 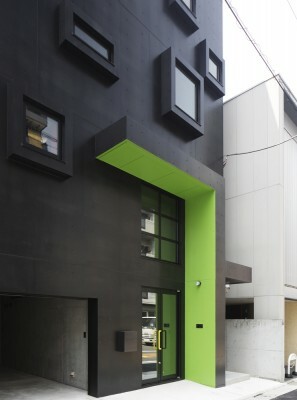 Design period started in January 2011 and finished in May 2012. Construction period started in September 2012 and finished in August 2013. Location is Tokyo, Japan. 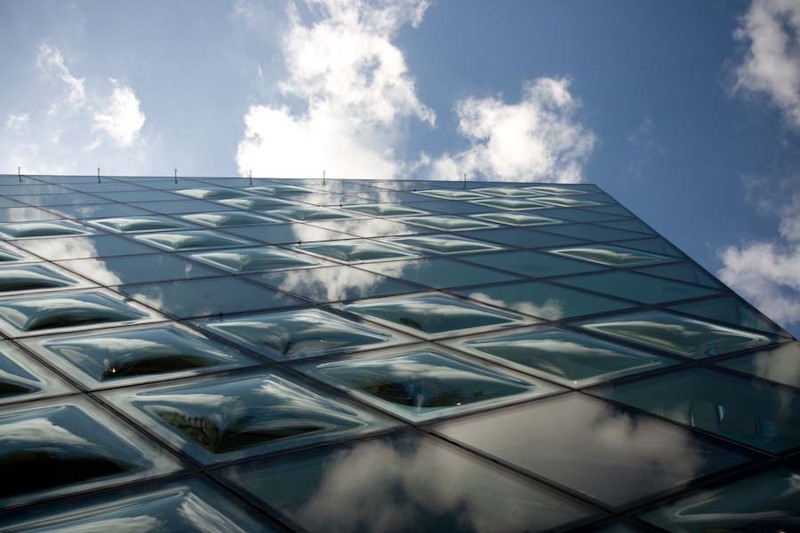 Turning the bottom floors into office space inevitably means fewer walls, in turn leading to a less stable structure. Considering the need to achieve earthquake resistance while also maintaining space, together with the freedom inherent in the plan, I chose to utilize RC construction. The key then became how to create an efficient flow of traffic considering the attributes of each room and the best ways to seek relief during an emergency. Total floor area is 286.41 sqm. Building area is 64.97 sqm. Plot area is 100.25 sqm. Building scale: 5 storeys. The major earthquake of March 11th created blackouts even in Tokyo. Even water and pipelines were cut off in certain areas, exposing weakness in those most essential lifelines. “House in Chitose” utilizes both gas and electric cooking appliances, heaters, hot water tanks, and more. The reason for this is that it allows residents the option of staying at home when one of the two cuts out. However, establishing an emergency route was a difficult issue. 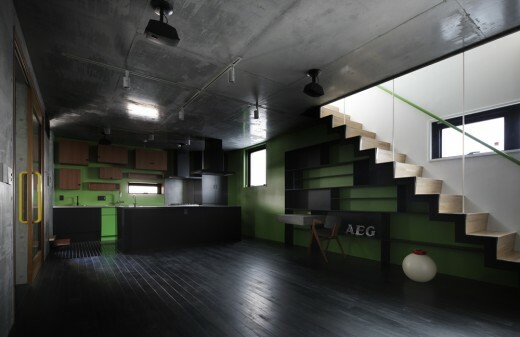 “House in Chitose” does not utilize a twisting staircase. The staircases connecting floors 1 through 5 are all straight staircases, allowing much easier movement up and down. 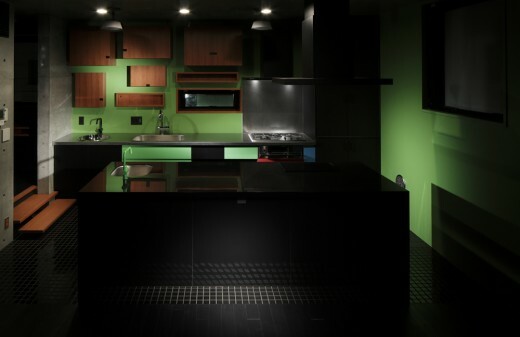 Color is widely applied to the interior. The idea here was to have the space remain bright at all times. Color does not exist in a space with no light. As power outages have continued since March 11th, the desire for light has transformed into a human craving. By brightening up the space, even a little bit, a little more hope is brought to those in a difficult situation. 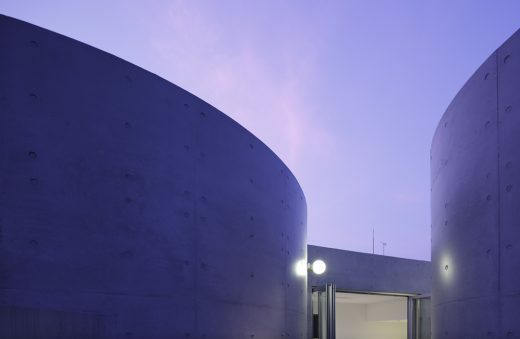 Hironari Itoi is a Japanese architect. Instead of violating nature, he constructs buildings that interact with each site, buildings that can only exist in those specific environments. 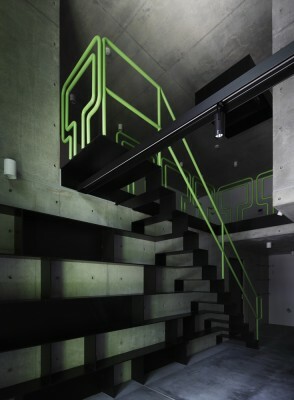 And he seeks minimal beauty through minimal design in order to draw out the maximum potential of his designs. 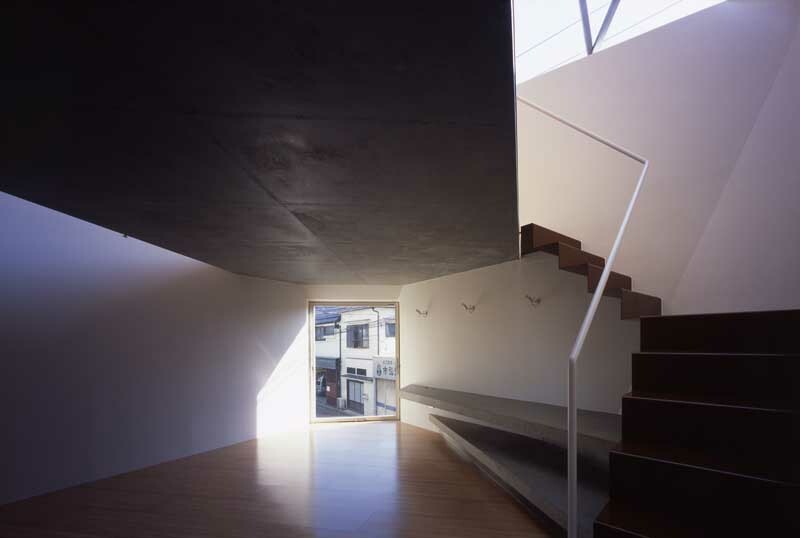 He is active in Tokyo, Japan, and creates architectural designs for the entire world. 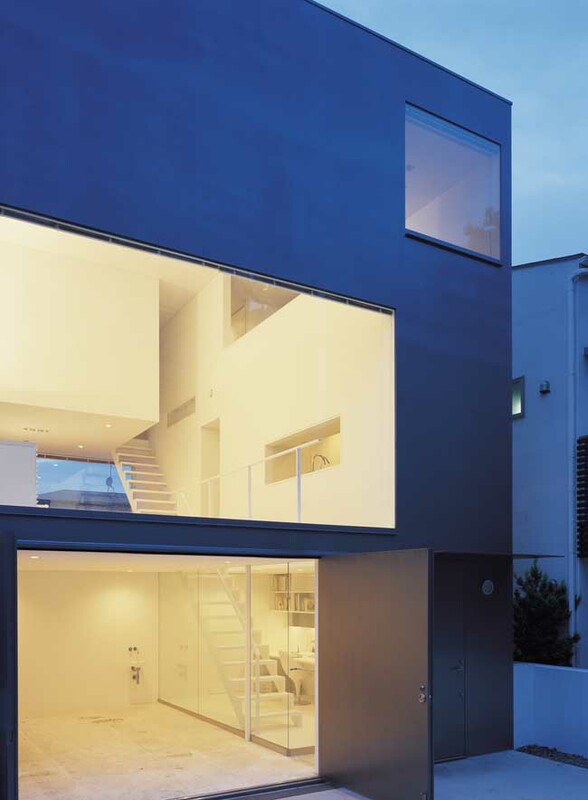 Winner	– House in Chitose Residential House by Hironari Itoi is Winner in Architecture, Building and Structure Design Category, 2014 – 2015.